Henry founded Rio-Bak in May of 1992. He has single-handedly teamed up some of the most qualified professionals into a to better serve those in need of site development services. With 45 years of construction experience, Henry has performed every task within Rio-Bak to ensure the final product of this company is always exceptional. Henry attended Florida State University and is fluent in both English and Spanish. Henry began his career with Rio-Bak in 1992 during Hurricane Andrew and began working full time for the company in 2002. He graduated from Florida Atlantic University in 2001 with a Bachelor’s degree in Marketing and holds a General Contractor license for Rio-Bak (CGC1520268). Henry was raised watching his father in the construction industry and brings his lifetime of experience to Rio-Bak. Henry is responsible for acquiring business, managing client relationships and the overall daily operations of the company. Henry is fluent in both English and Spanish. Tommy has over 20 years of financial, accounting and administrative experience. He graduated in 1997 from Florida Atlantic University with a Bachelor’s Degree in Finance and has completed numerous US Army Corps of Engineers and FEMA certifications. Tommy King joined Rio-Bak in 2004. He was quickly promoted to Vice President of Finance within his first year of employment with Rio-Bak Corporation. Tommy’s responsibilities within the company are overseeing all the administrative functions, implementing corporate policy, and serving as Project Manager for disaster work. Stacie graduated from Florida Atlantic University in 2001 with a Bachelor’s in Business Administration. Before Stacie started at Rio-Bak Corporation, she served as the City of Belle Glade’s Director of Finance for 4 years. Stacie joined Rio-Bak in 2005 and brings over 21 years of accounting and administrative experience to Rio-Bak. Her responsibilities at Rio-Bak include administrative functions and managing accounting daily duties for the company. David is a graduate of the University of Oklahoma with a Bachelor’s Degree in Construction Engineering and Management. 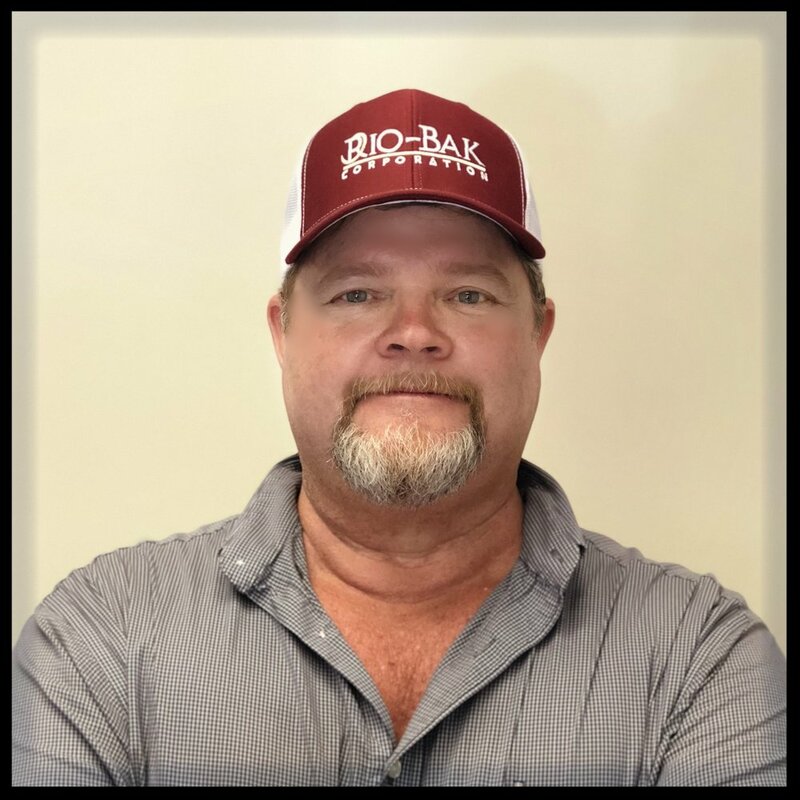 David joined Rio-Bak in 1995 as a site superintendent and through his hard work and dedication to the company he was promoted to General Superintendent in 2001. David’s role is an integral part in the day to day operations of Rio-Bak, as he is responsible for managing all field operations related to projects. He ensures the project is constructed in accordance with the specifications of the job, budget and schedule. He brings 35 years of experience in earthwork and roadwork superintendent duties to Rio-Bak. Mark graduated from Ball State University in 1996 with a Bachelor of Science in Construction Management. Mark joined Rio-Bak in 2015 as Chief Estimator. Mark brings a wealth of knowledge to Rio-Bak with his 20 years of experience in bidding and construction management. Steve is a graduate of the University of Florida and has been a part of the Rio-Bak team since 1999. He has served as Rio-Bak's Environmental Compliance Officer and now as Fleet Manager. Steve has over 30 years of experience in the construction industry.